We profile Jobber customers and industry experts for #thedailyhustle to learn how they build and operate successful businesses. With a background in bioinformatics and dance—two disciplines seemingly far away from the entrepreneurial world, Rachel wasn’t an obvious candidate to found and run a successful residential cleaning business. 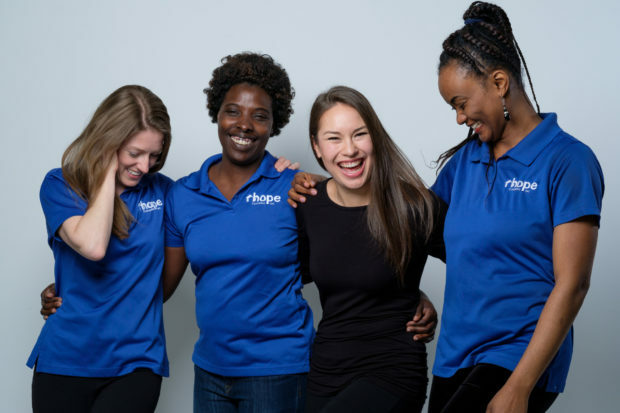 But in just a few years, Rachel and her team have grown Calgary-based Hope Cleaning from an idea into a 14-person-strong business in a competitive market. Their story is proof that offering something unique and different from your competition will help separate you from the saturated pack. And what’s ‘unique and different’ about Hope Cleaning is the company’s commitment to bettering their community. I don’t know of any other field that can handle as much innovation and creativity as business. The only thing telling you what you can and can't do is whether you make money or not. Rachel Cheung was a student of bioinformatics, a very detailed discipline, and she loved to dance, a very creative expression. Rachel had a great group of friends and enjoyed the community they all loved in. Everything in their world made them quite content. But one day, Rachel and her friends noticed that not everyone in their community was doing quite so well. There were many it seems, who were new to the city and country, learning a new language and way of life, trapped in low-income housing projects. Many of these people were single mothers, struggling to make ends meet and create better opportunities for their children. Rachel and her friends noticed their struggle and began thinking of ways to help. If you’re thinking about starting a cleaning business, or if you’re looking for ways to run your existing business better, this free 45 page guide is for you. “We wanted to help provide that employment so we could see people moving up, and out, of Calgary housing,” says Rachel about their community-driven business idea. “Whatever we came up with needed to be flexible enough to fit the ladies’ schedules and accessible to anyone,” she says. In 2013, Hope Cleaning became a reality. Today, Hope Cleaning caters to property managers and homeowners looking for quality cleaning services—with a social and environmental conscience. We are for profit because we work for the profit of our people. We want them to make enough money to move up in life. “We are for profit because we work for the profit of our people. 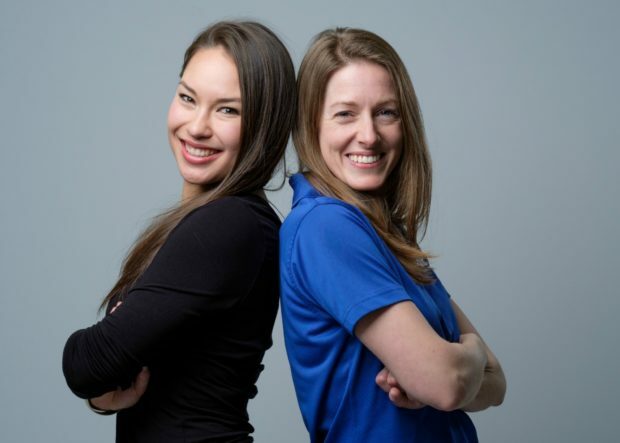 We want them to make enough money to move up in life,” says Rachel about her team’s focus. However, they also extend their community-minded approach to their customers, specifically making their services accessible to seniors who need help maintaining their homes. “We believe in taking care of the older generation and honouring the fact that everything we get to enjoy comes from what they’ve built,” explains Rachel. From the beginning, Hope Cleaning has been all about bridging the gaps in society. 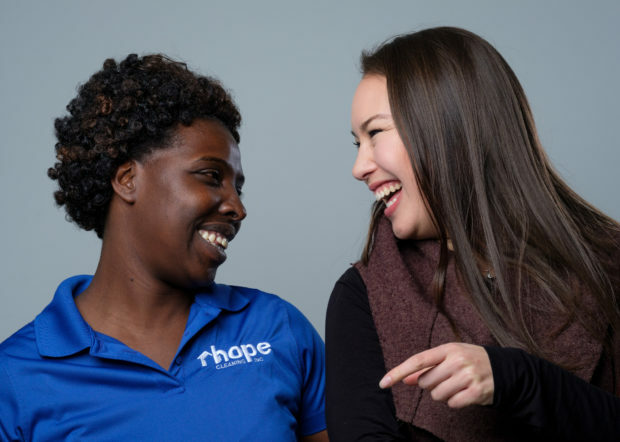 While Hope Cleaning started out focused on employing people coming from low-income housing areas, their mandate has grown. Other agencies found out what we are doing. Now we’re partnered with women coming out of different situations—escaping domestic violence, coming off the streets. We get to see these folks become empowered. As to be expected in any small business scenario, the hours are long and the work is hard, but the rewards are great. “Hope Cleaning gets to play a part in changing the ending of the story that may have been anticipated,” Rachel says. “We get to see futures improve because of the simple gift of employment and people’s courage to help themselves and one another. What is Hope Cleaning’s top marketing channel? The most successful tool we have is word of mouth referrals. Cleaning is such a trust-based service—we’re invited into homes and businesses. We get to build on that referred trust. Social media platforms also good for referrals and communication. What are your favourite Jobber features? Scheduling and invoicing. And managing people’s time, and capturing hours. [The Jobber App] is easy for the ladies to install in their phones and clock-in and out, which also records GPS waypoints. This is good for accountability on both sides. We work with property management companies so it’s good to be able to prove where we were and when. What is the most valuable tool in your work toolbox? One of the things we love are our mirror cloths. They make polishing anything a dream. [Without them] you can practically be standing your head polishing, and every time there’s another streak. Our cloths work really well and make everything super shiny. Outside of work tools, what would you never leave home without before a day in the field? A hydro flask. It’s the best water bottle I’ve ever had. What’s your favourite way to unwind after a hard day’s work? I don’t know if I ever forget about it all. On a daily basis I love to make dinner. Coming up with meals is still creative in a different way. And I’m a dancer, so a good way for me to unwind is by going to a dance class and not having to be the teacher. All the features, all the support, no credit card required.